Editor’s note: Screenland at the Symphony: “Dr. 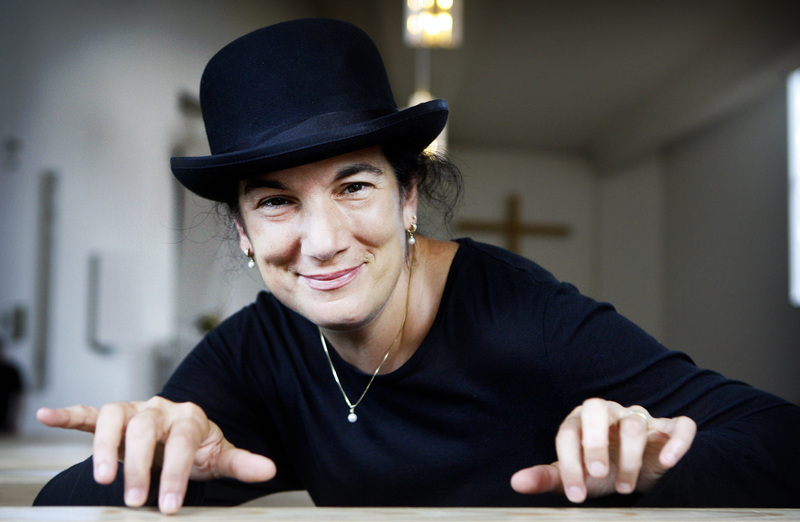 Jekyll and Mr. Hyde” features guest organist Dorothy Papadakos who will improvise on the Julia Irene Kauffman Casavant Organ at 7 p.m. Thursday, Oct. 24 in Helzberg Hall at the Kauffman Center for the Performing Arts in downtown Kansas City, Mo. Learn more. 1. Tell us about yourself. When did you start playing the organ? When did you decide to pursue music as your career? I started piano at age 9 in Reno, Nev., with a marvelous teacher who moonlighted as a jazz player in the clubs. When I was 11, he started teaching me jazz, how to read lead sheets of the great jazz and Broadway standards, and how to improvise off charts and invent my own spontaneous music. Five years later he died suddenly, and at age 16, I was utterly bereft. One Sunday in church I heard the organ going and started lessons … just four years later I would find myself a student at Barnard College and improvising a few blocks away on Friday nights at the world’s largest gothic cathedral, the Cathedral of St. John the Divine, NYC, for Night Watch, a program where teens from across the nation would come for weekend retreats. I studied classical organ repertoire and earned my master’s degree in organ at the Juilliard School and then became the assistant organist at St. John the Divine. That’s when I learned how to improvise for silent films, from the legendary theatre organist Lee Erwin who’d come play a movie there every Halloween! Three years later in 1990, I was appointed head cathedral organist, the first woman in history, and I held that post for 13 years until 2003 when I moved into music theatre. 2. Are you performing a lot of silent movie concerts these days? Have you seen an uptick in interest for these types of performances in recent years? There’s a HUGE uptick, yes! Silent movies haven’t been this popular since their golden era in the 1920s. My Halloween Horror Tour this year is eight cities in four weeks, and I have all kinds of gigs booked already into 2016 and 2017, including screening Charlie Chaplin shorts at next year’s American Guild of Organists National Convention in Houston, Texas! Charlie Chaplin at a national organist convention — I think that may be a first! It’s all about showcasing the art of improvisation. 3. What are you most looking forward to as you return to play the Julia Irene Kauffman Casavant Organ for the second time and your second Screenland at the Symphony concert? I absolutely love the spirit, personality and power of the Julia Irene Kauffman Casavant Organ. When I played “Nosferatu” at last year, I was so energized and inspired by its evocative and hauntingly beautiful sound combinations as well as the thunderous whomp it delivers! It shakes my bench up there! I also love the feel of the console six stories up — it’s like you’re floating out there over the stage in all that sound. It‘ll be terrific to see the whole Kansas City Symphony gang again, too! 4. How do you prepare for a silent film performance? In your opinion, does a silent film performance require more energy or endurance than a traditional organ recital? Improvisation is best when it’s fresh and I’m on the edge of my seat, so I rarely preview a film once I’ve learned it. I have my scene breakdowns and cue sheets that I study on the plane flying to a gig, but the biggest preparation is registering a venue’s organ, choosing the sounds I like, and setting the memory combinations, the pistons. The cue sheets — all my silent movie scores are original material I’ve composed — are just like films and TV shows today where major characters each have his/her own theme, or “hook,” which I then improvise off of throughout the film. Since there’s no talking, the themes have to do the work of conveying the character’s interior world, dilemmas and action. Cues vary in length from as little as two bars to 16 bars. Yes, silent film performance is an endurance test! A genuine marathon of non-stop improvisation, usually for 90-plus minutes for the horror films. In organ repertoire recitals, you get a break between pieces, even sometimes take an intermission. But when accompanying a silent film, you’re having to generate fresh new musical ideas non-stop to keep it interesting for the audience on the journey of the story. Because it’s such a test of endurance, improvisational ability, and quick adaptation to any kind of organ, there aren’t many of us who do it. But those of us who do accompany silent films professionally LOVE it. I know for me it’s one of the most freeing and creative musical experiences I have … it’s always different, every audience is new energy, every organ sings and plays differently, and I’m different each show with new musical ideas — I never get bored! To me the thrill is discovering in performance what’s inside me, inside the audience and the organ, moment to moment, in the synergistic four-way relationship triggered by the actors on screen. 5. Even though you improvise during the film, are there specific scenes where you’ve already pre-planned a special effect or to play a certain passage? Will you sample famous organ works throughout any of your improvisations? If so, what melodies or pieces might be featured? I learned long ago you can’t pre-plan anything in improvisation. It never goes the way you planned! … because you’re not who you were when you wrote the pre-planned effect and in front of an audience everything changes. I have to enter each performance in complete surrender to the new moment and trust my bag of tricks will be there if I need it. I’m often asked if I using a cue sheet is it really improvisation. The reason for the cue sheet is to remember which pistons/preset sounds go with each cue — every organ is different and with all the gigs I play, there’s no way to remember which buttons to push. Also, no cue ever works/sounds/plays the same way on any two organs! 6. Do you have a favorite part of “Dr. Jekyll and Mr. Hyde?” If so, which part do you like best and why? 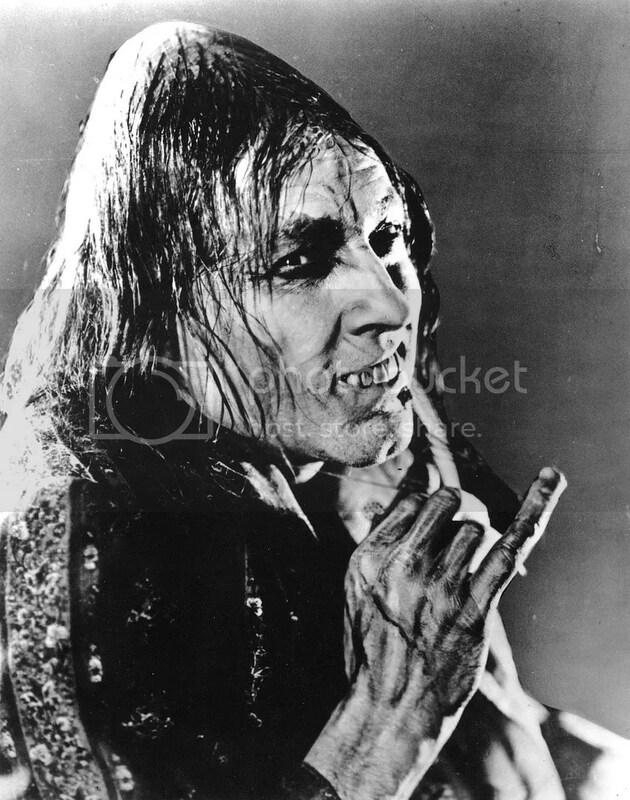 I love how brilliantly John Barrymore performs Dr. Jekyll’s first transformation into Mr. Hyde, without makeup, all in one take. It’s pure theatrical genius! I also enjoy the film’s variety of locations, from London music hall to opium den to laboratory to high society parlor — it gives me the opportunity to create fun different styles of music for each one, like vamp music for Gina and the music hall, Chinese music in the opium den and Dr. Jekyll’s theme in his laboratory. OK, the spider scene is pretty cool, too! 8. What’s up next for you — any big concerts or tours coming up? My musical BACCHUS (the first musical ever about wine!) is my 24/7 focus as my Broadway producer and I develop it for production. But from Oct. 16 through Nov. 13, I’ll be in “Halloween Horror mode” with my creepy cool friends “Nosferatu,” the “Phantom,” “Dr. Jekyll and Mr. Hyde.” On Halloween night, I’m playing a “Phantom of the Opera” double-feature at Grace Cathedral, San Francisco, hosted by San Francisco Jazz — everyone will be in costume … it’s Halloween in SF! 9. Is there anything else you’d like to share? Thank you so much for this wonderful opportunity to perform “Dr. Jekyll and Mr. Hyde” in Helzberg Hall! I can’t wait to be with you all again — as I discovered last year, Kansas City audiences love their horror movies and they ROCK! To learn more about the Screenland at the Symphony: “Dr. 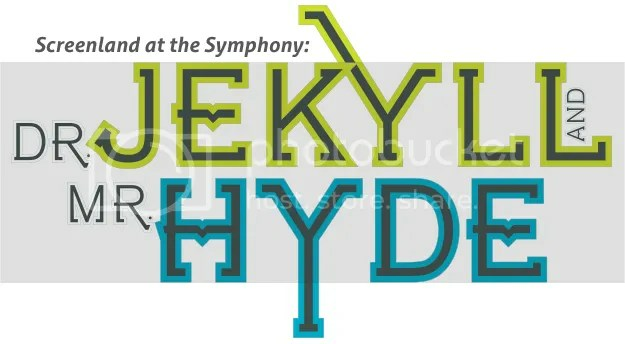 Jekyll and Mr. Hyde” concert at 7 p.m. on Thursday, Oct. 29 featuring guest organist Dorothy Papadakos, visit the Symphony ticket page here. Tickets start at $25. Wear a costume and be considered for the Symphony’s costume contest prior to the concert! Prizes will be awarded to first, second and third place winners.